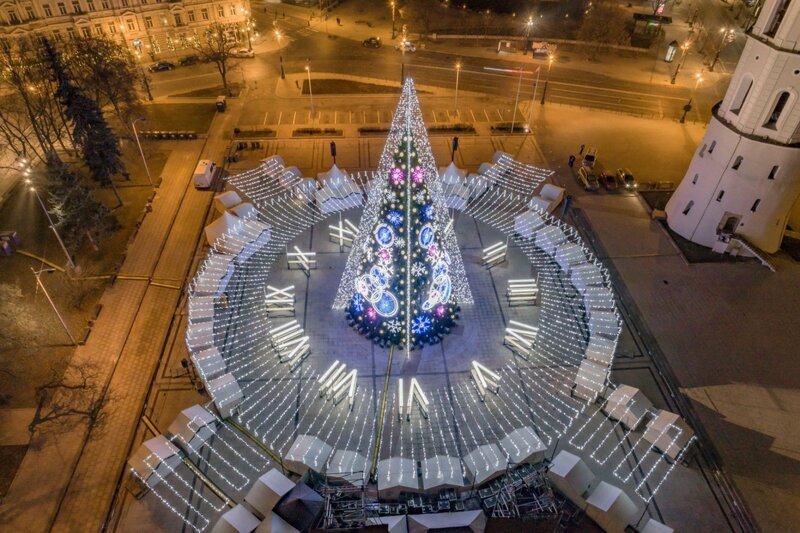 Not a single tree was cut down to build Lithuania's most beautiful Christmas tree yet. The 27-metre tall metal construction, which is made up of some 6,000 branches and over five kilometres of lighting, is definitely a sight to behold. Looking from above, the 50-metre wide composition resembles an impressive clock with four snowflake cogwheels and 12 glowing tables that serve as clock numerals. The lighting of the giant Christmas tree clock means that the holiday season has officially begun and the countdown to Christmas is on. 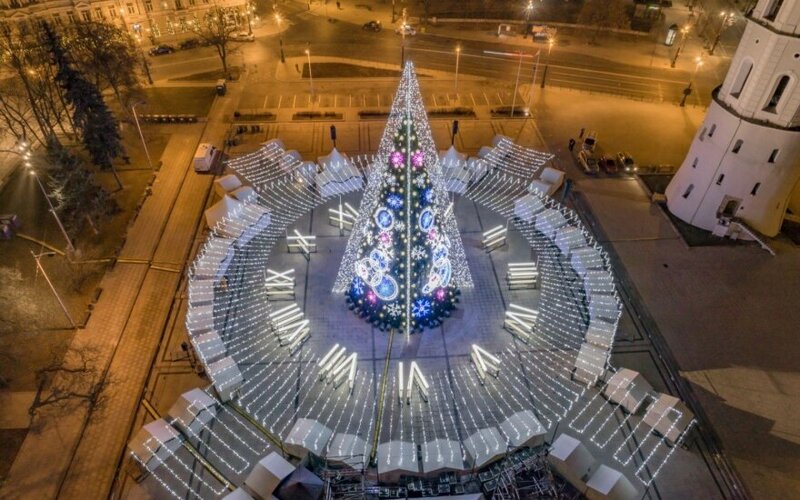 One doesn't have to look too far to find the inspiration for the tree's design; the clock hanging on one of Vilnius' most iconic structures – the Cathedral Square Bell Tower standing right next to the Christmas tree – is said to be over 345 years old – older than Big Ben! Vilnius transforms into a veritable Christmas wonderland during this festive month, and can be explored by taking a ride on the Christmas train, which makes its way through the city's UNESCO-listed Old Town. Visiting the Christmas villages filled with souvenirs and festive food at the Cathedral and Town Hall Squares is an absolute must – both are open until 7 January. Moreover, a 3D tale of the birth of Jesus projected onto the walls of the Cathedral will make for an unforgettable experience for the whole family – the 15-minute story will be told four times a day starting at 5 p. m. from 25 to 29 December. For all the romantics in the city over the holidays, the ice skating rink will awaken childhood memories of magical winters. And to top it all off, New Year's Eve will be marked with a special interactive light installation on the Cathedral Bell Tower, reminding everybody about the power of time and the importance of history. For the most spectacular fireworks, staying at Cathedral Square as the clock strikes midnight is another must.